There’s no shortage of beautiful photos of Atlanta taken by professional photographers in books or magazines. But sometimes, the best way to see a city—and get a true sense of its people, places and personality—is to look at it from the perspective of its locals, who are out and about everyday. Since it was founded in 2010, photo-sharing app Instagram has allowed photographers—professional and amateur alike—to instantly share their snapshots online. From funny candids of a girls’ night out and live-action shots at a Falcons game to posed portraits of various Atlanta citizens, the photos on Instagram give viewers an instant and intimate view of the city. Here are five of our favorite Atlanta Instagram photographers to follow for a glimpse into the city. One of the founders of #weloveatl—a grassroots movement that encourages citizens to share their love of Atlanta through photos posted with the same hashtag—Aaron Coury is an expert at making ordinary Atlanta locations and discoveries look extraordinary. On Coury’s feed, the photographer’s mastery of light makes a shot of a deserted downtown neighborhood look like a magical and mystical post-apocalyptic scene, while the thoughtful composition of another photograph makes Atlanta’s vast skyline look tiny against a beautiful cloud-filled sky. With nearly 55,000 followers, @a_t_l_a_n_t_a is one of the most popular Instagram accounts about Atlanta. And for good reason: The feed is full of stunning landscape shots of the city, curated from various local photographers. A common trait among the images? Drama. Whether it’s a shot of a familiar building, like the iconic Westin Peachtree Plaza in downtown, taken from an unexpected angle, or a picture that’s been colorized for a beautiful dramatic effect, this feed is sure to present views of Atlanta that followers have never seen and challenge citizens to rethink how they see their city. Photographer Andrew Thomas Lee’s food and restaurant images have appeared in national magazines ranging from People and Bon Appetit to Esquire, but on his Instagram feed, viewers get to see a different side of his work. There’s still—unsurprisingly—a lot of food photography, but instead of polished pictures of the interiors of a restaurant, Lee will instead share a shot of its founders--like this one of the trio behind the award-winning Staplehouse--in a moment of fun. Followers can also expect to see behind-the-scenes images from his shoots around the city, his personal food adventures and tender moments with his wife and dog. 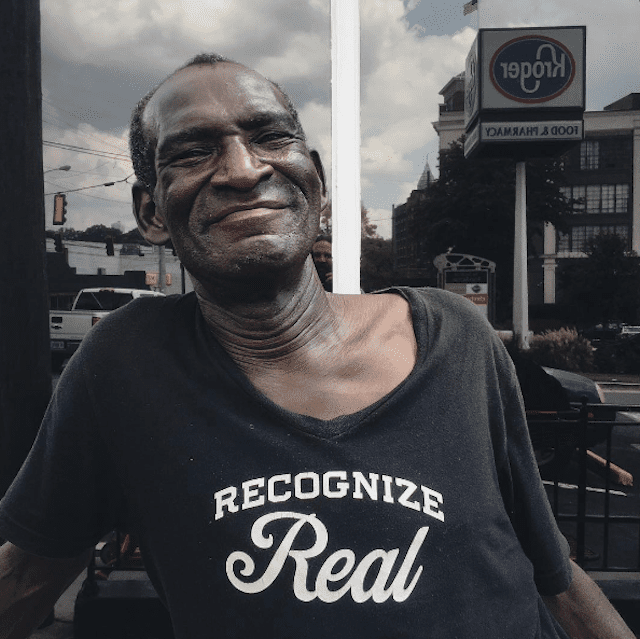 Another co-founder of #weloveatl, Brandon Barr describes himself as a “photographer at home in Atlanta’s streets” on his Instagram bio—and the evidence is in his photos. Barr’s feed is a delightful mix of street photography, portraiture and landscape photography that takes viewers from the city’s restaurants to​ its parks and everywhere in between. Of particular note are Barr’s portraits, which serve as a visual interpretation of the heartbeat of the city. His portraits sometimes come with standard captions explaining what impact a particular person has had on the city, and other times feature direct quotes or backstories that immediately endear viewers to his subjects. From high-end editorial shoots to everyday streetscapes and slice of life shots, photographer Benjamin A. Pete captures the essence of modern Atlanta. Expect playful, crisp lifestyle portraits, joyous images of city institutions like the annual DragonCon convention and Skyline Park at Ponce City Market as well as unique perspectives on the city's hidden nooks and crannies. Pete also maintains a popular lifestyle blog, The Truth Renaissance, dedicated to music, fashion, food and more.